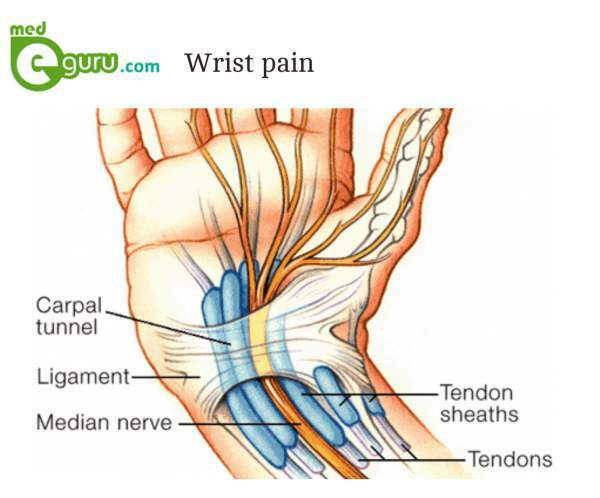 Wrist pain is one of the common ailment among most of the people. Sprain, fractures and sudden injuries from motor accidents etc. are the main causes of wrist pain. There are certain long-term health conditions like arthritis, repetitive stress and carpal tunnel syndrome etc which may also cause wrist pain. It is important to diagnose the exact cause as wrist pain can occur due to various reasons. Pain is the major symptom of the condition. However, the pain may vary according to the cause. Wrist pain caused by osteoarthritis is described as similar to that of a dull toothache. The patient will experience a pins-and-needles feeling if the wrist pain is caused due to carpal tunnel syndrome. Apart from physical examination, the doctor will also suggest imaging tests, arthroscopy and nerve tests if required. If the imaging tests are not satisfactory, the doctor may suggest for an arthroscopy. Arthroscope is a thin instrument which can insert into the wrist through a tiny incision. The camera inside the device will capture the clear images of the wrist and project it on the connected screen outside. An arthroscopy will give a detailed picture of the condition. Electromyogram is the test suggested to diagnose carpal tunnel syndrome. What are the Treatments for wrist pain? If the tendon or ligament is damaged and requires repair.